Skylark Blog: Is it a Crime if my Spouse Reads my E-mail? Is it a Crime if my Spouse Reads my E-mail? The short answer is that your spouse has probably not violated any law by reading your e-mail, even if it is against your wishes. The law of technology is constantly changing, though, and you may want to think twice before snooping in your spouse's email. The current law varies from state to state and you might be subject to criminal charges as the law catches up with technology. In Massachusetts, the First Circuit Court of Appeals in 2004 ruled that e-mail snooping was not a violation of the wire-tapping statute, and therefore not a crime under that law. If combined with concerning communications, e-mail snooping may be enough to trigger the criminal harassment statute in Massachusetts, though this would depend more likely on the nature of the other communications. There is a Federal Law, the Electronic Communication Protection Act (ECPA), that prohibits interception of an e-mail while it is being transmitted. However, ECPA does not prohibit snooping in your e-mail inbox or outbox (i.e. before or after the e-mail has been transmitted). Although snooping is not considered "hacking" under the ECPA, it may be under some state laws. In Michigan, prosecutors are attempting to apply their anti-hacking statute to a case of a Husband accessing his Wife's account to gain information about an affair. Although, many experts are quoted in a Today story as questioning this application of a law intended for a different purpose, the case raises interesting questions about two issues: What expecation of privacy does a Wife have on a shared computer (especially where her passwords were written down next to the computer) and how has the "snooping" damaged the Wife? The damage to the Wife is certainly different than the damage experienced by a victim of identity theft or other more typical security "hacks", but this doesn't mean she is not damaged as well. It may be the case that applying the anti-hacking statute to a domestic case is not a good fit, but it is time for the legislature to catch up with today's technologies and impose either civil or criminal sanctions on e-mail snooping. The fact that such behavior is very often associated with controlling and/or violent domestic relationships should be enough to warrant prohibition of these activities. If you are considering this type of snooping, even if you live in a jurisdiction where it is not against the law, you should consider the possible backlash. A Family Court Judge could consider this threatening behavior or otherwise hold it against you and the backlash could be much more damaging than any information discovered (even if it was admissible). If you are concerned about your e-mail being wrongfully accessed, read our previous post about protecting your privacy. Should Parenting Plans include Holiday schedules? 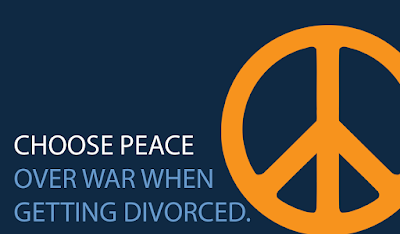 Why You Should Try to Avoid Divorce Court? Does a Criminal Record affect Child Custody?